Say goodbye to additives, mass production, and unnatural ingredients. At Caramel Caravan Co., we not only use local Clover cream and San Francisco made Gilt Edge butter, we stir, simmer, mix, cut, and package all of our goods by hand - in small batches. That's a lot of hard work - but it's worth it! - giving you the most delicious and creamy products just like in times gone past. Welcome to Caramel Caravan Co.
Caramel Caravan Co. means good ingredients, good taste, and good design. We not only wanted to create something delicious, we wanted to to create a pretty, special gift. Our caramels make lovely presents not only at the holidays, but for special occasions, birthdays, wedding and baby showers, coworkers, and more. We love combining new with classic flavors, and are inspired by California's abundant food and agricultural scene. From farmer's markets to local creameries to the Bay's buzzing restaurants, we're energized by our local surroundings, with a bit of rustic, Old World enthusiasm added to the mix. 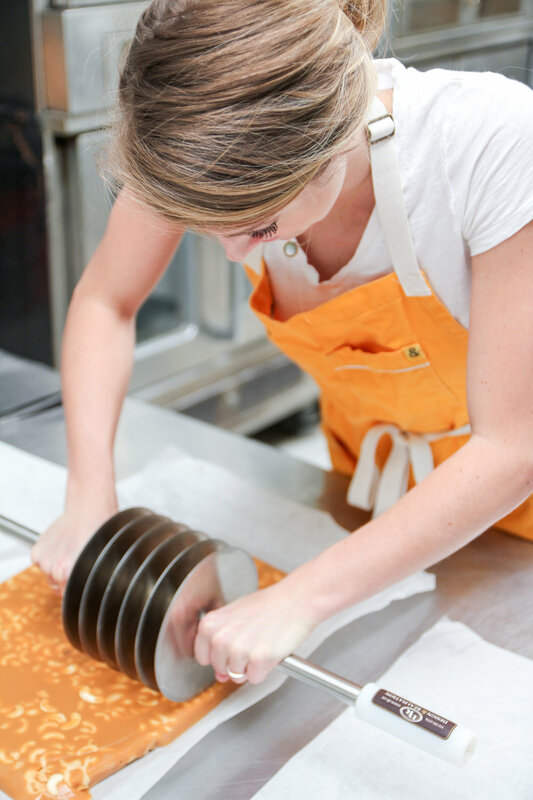 We're passionate about all our caramels and caramel treats, and hope you will be too!